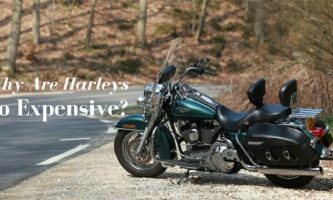 Motorcycles are becoming a popular form of transport. 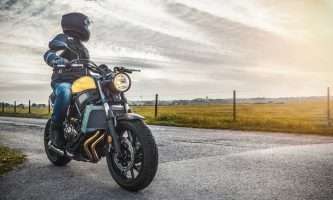 This popularity can be explained by the fact that when riding a motorcycle, one gets to intimately connect with the driving experience. Additionally, some bikes can achieve great fuel economy, making them a great alternative to fuel-guzzling vehicles. 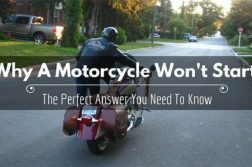 You most likely want to buy a motorcycle if you are reading this. 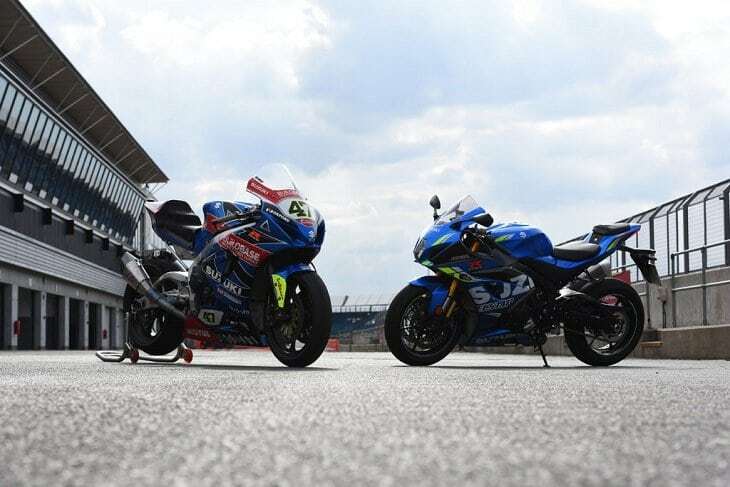 In this piece, we will explain to you all about Suzuki motorcycles and why you should consider buying a Suzuki motorcycle. First, Ever Wondered What Does Suzuki Mean? If you didn’t know, Suzuki is a widely used surname in Japan. Suzuki means “bell tree,” “bud tree” or “bell wood.” In 2008, research done by Yasuda Life Insurance Company found that the name Suzuki was the second most used Surname among the Japanese. Many businesses in Japan also use the name, Suzuki. Among them is Suzuki Motor Corporation, the manufacturers of Suzuki Motorcycles. It will be interesting to note that, when the corporation was founded in 1909, it was a maker of weaving looms and not automobiles! That’s right. The firm was initially known as Suzuki Loom Works. 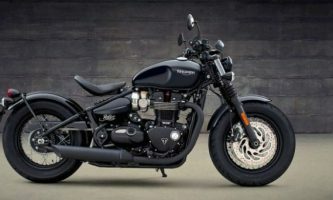 However, the company subsequently grew to a manufacturer of products such as; all-terrain vehicles, (ATVs) motorcycles, engines, outboard motors, and automobiles. This company’s production output and revenue statistics reflect this growth. For example, for the year 2012 Suzuki manufactured 2,269,000 motorcycles and ATVs while its revenues hit US $26.27 billion. The corporation has its headquarters in Hamamatsu, Shizuoka in Japan. However, its services are available worldwide. Suzuki has subsidiaries in countries such as; The United States, Canada, China, India and Great Britain. What Are The Features And Advantages Of Suzuki Motorcycles? Let Us Begin With The Features. Most Suzuki Motorcycles have the 4-stroke, 4-cylinder, liquid cooled, DOHC engine. This engine is found in almost all categories of Suzuki Motorcycles. This engine provides power and high acceleration while also maintaining fuel efficiency. Another key feature of Suzuki Motorcycles is the use of state of the art suspension systems. The suspension system provides excellent handling and reliable control especially when it comes to sharp corners. With such characteristics, the safety of the rider is assured. The Suzuki Drive Mode Selector or the S-DMS is another cool feature added to the latest models of Suzuki Motorcycles. The feature allows the rider to tailor how the Motorcycle will deliver power. The shape of most models of Suzuki Motorcycles is another essential characteristic. Not only does the streamlined shape offer minimal wind resistance, but it also enhances the beauty of the Motorcycles. An example is the shape of the 2017 Hayabusa which Suzuki describes as “wind cheating.” The shape was influenced by that of the Peregrine Falcon and is very eye-catching. An advantage of buying a motorcycle manufactured by Suzuki is the after-sales services. You will readily find genuine parts and lubricants when maintenance time occurs. At any authorized Suzuki service dealer, consumable parts such as oil and air filters, spark plugs, brake pads and any other parts that you may need are available. You will also find oil or any other chemicals needed. It is important to note that regular maintenance and replacement of parts are two key ingredients of enjoying safe riding. That’s why Suzuki recommends that during maintenance time, only fix genuine parts on your motorcycle. These genuine parts are well designed and thoroughly tested to ensure maximum performance and service life for your bike. With authorized dealers available across the globe, maintenance with genuine parts and oils should not be much of a hassle! Suzuki also offers a 12-month warranty for most of its motorcycle models. A longer period of coverage by the warranty is also available under the Suzuki Extended Protection Plan which is also known as the SEP. The Types Of Motorcycle Of Suzuki Brand. Suzuki has manufactured motorcycle to suit any terrains or a person’s taste. 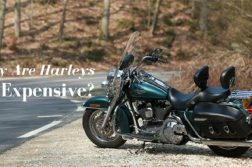 The corporation has categorized the motorcycles into the following broad categories. Searching for something designed for excellent performance? Then search for bikes in this category. In this category, Suzuki has the Hayabusa, the GSX-R1000 series, the GSX-R750, the GSX-R600, the GSX-S1000F ABS and the GSX250R. In this category, Suzuki has the Boulevard series. 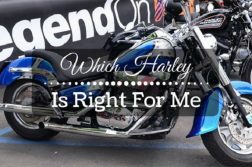 You can choose one of the Suzuki Boulevard M109R B.O.S.S., the Suzuki Boulevard M90, Suzuki Boulevard M50, Suzuki Boulevard C50, Suzuki Boulevard C90T or Suzuki Boulevard C50T. If you want a machine for your countryside tours, then check out the Suzuki Boulevard C90T. There is also the Suzuki Boulevard C50T. 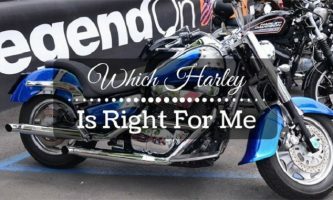 This category is made for those who want a motorcycle that provides comfortable ergonomics and sufficient power in their everyday ride. Here, you will find a variety for your selection. This includes; the Bandit-12508 ABS, the GSX-ST5OZ, the SFV650, VanVan 200, GSX-S1000F ABS, GSX-ST50, GW250F, GSX-S1000 ABS, SV650 ABS, GW250, GSX-S1000, SV650 and the TU25oX. Under this category, you will find the V-Strom series including; V-Strom 1000XT, and the V-Strom 650, V-Strom 1000 ABS Adventure, V-Strom 650XT and the V-Strom 650 ABS Adventure. If you are looking for a motorcycle that can be used either on a smooth pavement or the trails of the wilderness, then look under this category.This class has in its ranks, the DR65OS, DRZ4OOS, DR2008 and the VanVan 200. The DR-Z4OOSM is the motorcycle in this class. This bike is made for use in the city. For Motocross lovers, check out Suzuki’s RM-Z Series. The Motorcycles under this category include; RM-Z450, RM-Z250 and the RM85. Check out the RMX4502, the DR-Z125L and the DR-270. Here is a word of advice for people who want to buy Suzuki motorcycles. 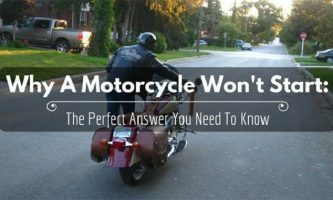 Now that you have a good idea of what does Suzuki mean, the types of Motorcycles under Suzuki and their features, here is a word of advice from us. To get the best deals, visit your local authorized Suzuki dealer. They are available in most countries. When it comes to maintenance, always insist on getting genuine parts so that you may be able to enjoy excellent safety levels, reliability and performance. Also, do not forget that you can get a longer coverage under warranty with the SEP! Previous ArticleWhat Does Hayabusa Mean? Why Is It The Most Wanted Bike?